What Are The Most Common Mistakes in SEO? Search engine optimization (SEO) can be a complicated process, especially if you are not very familiar, or well-versed, with the method. A lot of SEO beginners, and even some professionals, continue to commit the same mistakes when they do try to use SEO, thereby making it harder for them to get the results that they desire for their site’s page ranking. Fortunately for you, by simply determining what mistakes they make and avoiding them, you can actually fair off better than those people who commit them, even if you are an SEO beginner. If you are already well-versed with the SEO process, then learning these mistakes won’t hurt your chances either, but rather, help improve them. 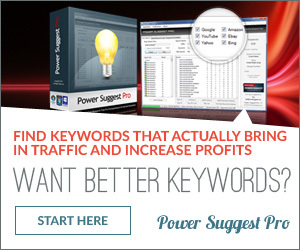 A lot of people try to use popular or common keywords in order to get people to their sites, regardless if the keywords that they use have any relevance to their site or not. You may be able to generate traffic using this type of method, but since you are not offering relevant content based on your keyword, people visiting your site will just end up leaving simply because you are not offering any content that they are looking for. You are actually getting traffic of market that isn’t even interested in your site or its content, so you just end up with nothing. Another mistake that people do when they try to optimize their site is by over-using keywords, or using them repeatedly in the title, tags and body. They believe that by overloading their site’s content with their chosen keywords, they will be able to trick search engines, and improve their site’s page ranking in the process. Unfortunately, this is not necessarily the case. Search engines will be able to detect if you are committing the over-use of keywords, or “spamming”, and if so, your site will pay the ultimate price by getting itself banned from the search engine’s index. People are driven to go to your site with the keywords that you have chosen, but it is your site’s content that they will be looking for, so make sure that whatever keywords you have chosen to use, those keywords will direct them to relevant web content in your site. Do take the time to write good and relevant content in order to ensure that your site would continue to do well against others offering the same thing. Remember that the only way that you can get your site to stand out against other sites would be your site’s content. Comments Off on What Are The Most Common Mistakes in SEO?